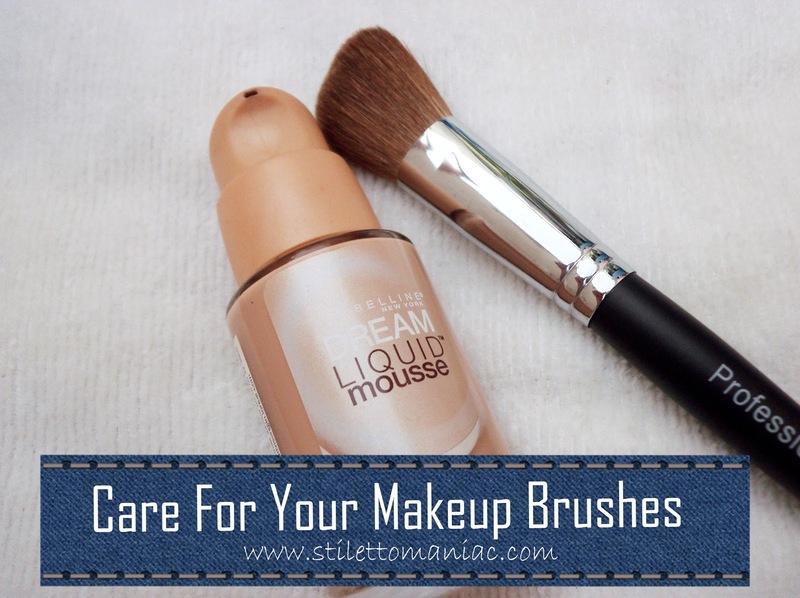 Make up brushes are expensive and taking care of them is important to increase their life span and get most out of them. You need to treat make up brush bristles like you treat your own hair and give them a lot of pampering so that they last long. After multiple uses, product gets accumulated in the brushes which attracts dust and grime making it a bacteria and germs breeding ground, so washing them from time to time is an absolute essential to ensure a fantastico make up application which is germ free. Using unclean brushes means you are openly inviting breakouts for your skin and lowering its life span. Typically, all make up brushes need to be cleaned at least once every month but you need to clean them properly with a lot of care or you will end up totally damaging them which will result in them loosing their shape and softness. You can use shampoo, mild soaps , or even special brush cleansers from top make up brands to clean your brushes. If your brush has become too hard then you can wash with shampoo and follow it up with a gentle conditioner bath. I clean my make up brushes using the Johnsons baby shampoo which is mild but cleans most of my brushes well. Water proof make up doesn't get cleaned that easily so sometimes I use drops of vim Dishwashing Iiquid mixed in bowl of warm water to clean foundation brushes. Cleaning make up brushes is like giving them a head bath. I take all brushes and dip them in bowl of water mixed with baby shampoo. Then I gently give the brushes a swirlin the bowl of water, the colour of water changes to release dirt and product residue. When cleaning don't dip the entire brush with holder in soapy water or you may end up with loose bristles, just lightly dip only the hairy part. Now i wash the shampooed brushes under runny water. If bristles are hard I mix some hair conditioner in a bowl of water and swirl again. This is followed by another wash in runny water. Next I give brushes a gentle squeeze and put them on a towel in shade to dry. Tada!! Six hours later I have super clean brushes which are almost as good as new. Let the brushes dry in shade for about 6 hours before you are ready to use them again. Don't dry in sun or with blow dryer, this can damage them irreversibly. If you have sensitive skin then use a spray cleanser on your brushes after every use. This will keep bacteria at bay and then you can indulge in deep cleansing once every two weeks. Using unclean brushes can multiply your skin problems so you need to pay extra attention in keeping them hygienic. Use any mild shampoo to wash brushes and follow with a mild conditioner to soften bristles. You don't need to invest in a commercial cleanser if you have normal well behaved skin. When cleaning brushes, take care to dip just the bristles and not the part which has glue holding the bristles together. Rinse your brushes thoroughly under running water making sure there is no soap or conditioner residue left. If the product build up is too stubborn like waterproof foundation or long stay lipstick, dip the brush in a little olive oil and follow with shampoo cleansing. After gently squeezing out water dry your brushes on a paper towel, tissue or even a newspaper. 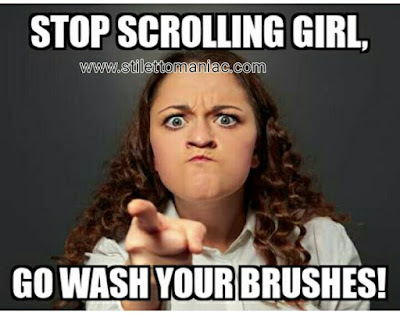 Don't share your make up brushes, dealing with your own skin dead cells and skin oils is anyways a difficult task. 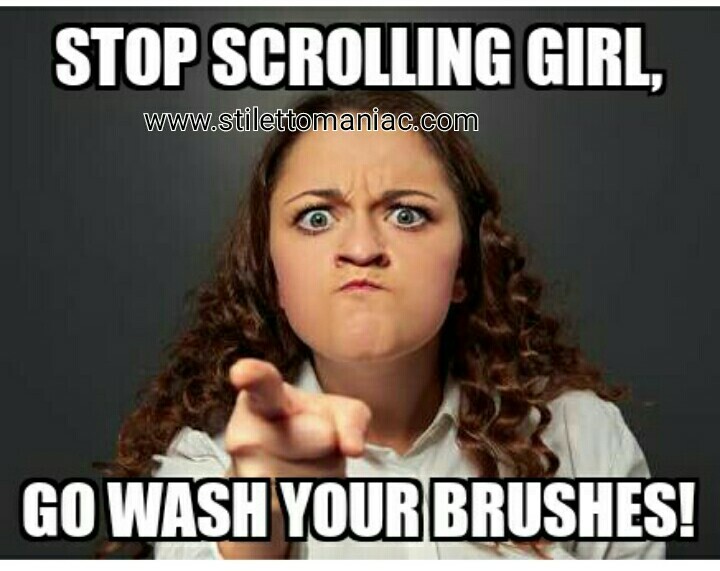 If you do end up sharing then cleanse immediately to prevent breakouts and skin infections. Don't forget to follow these fantastico tips the next time you wash your brushes!